For up-and-coming restaurant, Selden Standard, it doesn’t get much better than being awarded Detroit Free Press‘ “2015 Restaurant of the Year.” Selden Standard not only took home that title, but has been buzzed about constantly since it opened back in early November. I stopped in for dinner on a sub-zero-temperature evening, but instantly warmed up once I stepped inside the trendy interior, with wood-panelled ceilings and soft lighting. The bar was packed with people drinking tall glasses of wine and rose-colored cocktails, chatting and laughing. Once I was seated, I perused the drink menu, choosing a cocktail called the “Fortunella Fizz,” which was served in a small glass fit for a princess. This little number had gin, kumquat, lime, Barenjager, and a foamy egg-white topping for taste and presentation. While it was a little sweet for my taste, it was well-crafted and creative. For dinner, I was faced with so many delicious options. To help guide me, my waitress explained that the menu items are listed from lightest to heartiest as you read vertically, and noted the plates are generally smaller than average. For someone who loves family-style, I was excited for what was to come. 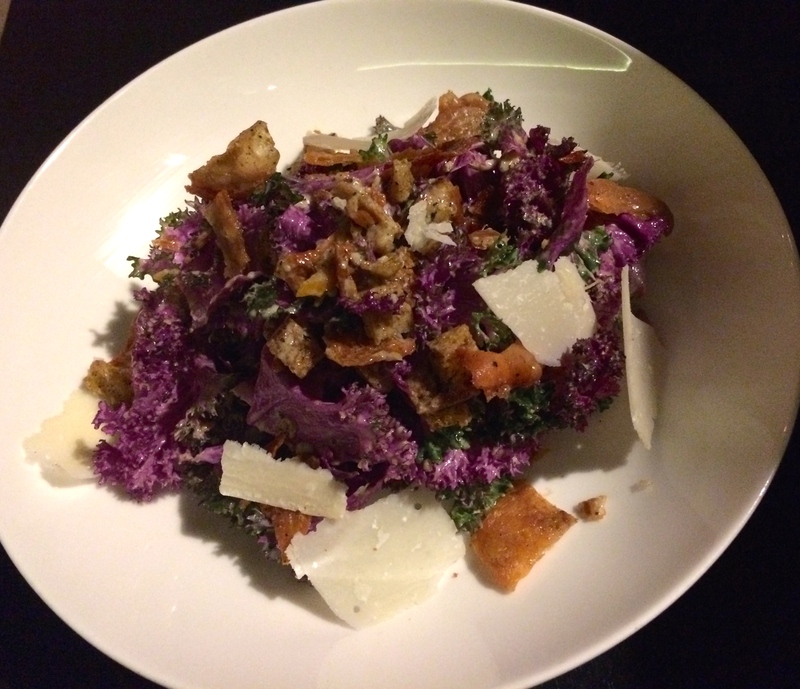 My dining partner and I chose the kale Caesar salad and roasted cauliflower to start. I tend to think Caesar salads are quite boring, but I was wowed by this dish. This salad was perfectly dressed, topped with crispy chicken skin alongside sourdough croutons. 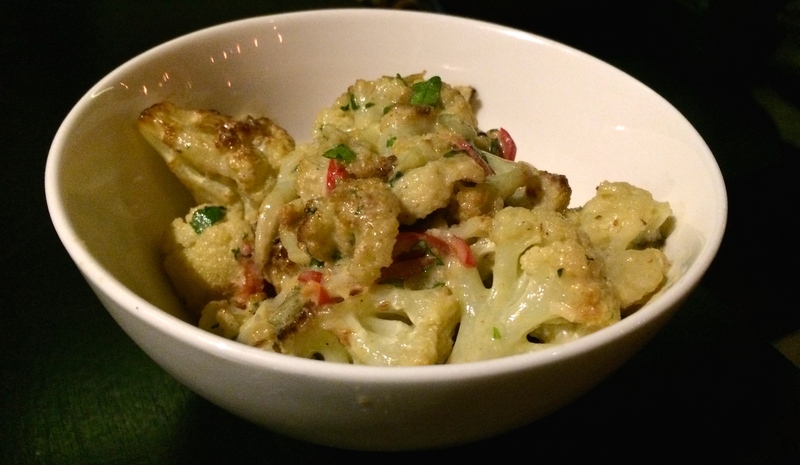 Cauliflower is generally mild in flavor, but Selden Standard’s was out-of-this-world, with a tahini, lemon, and cilantro sauce, mixed with a medley of pickled peppers. My dining partner was initially skeptical, but his face lit up with delight upon his first bite. This cauliflower is a game-changer! 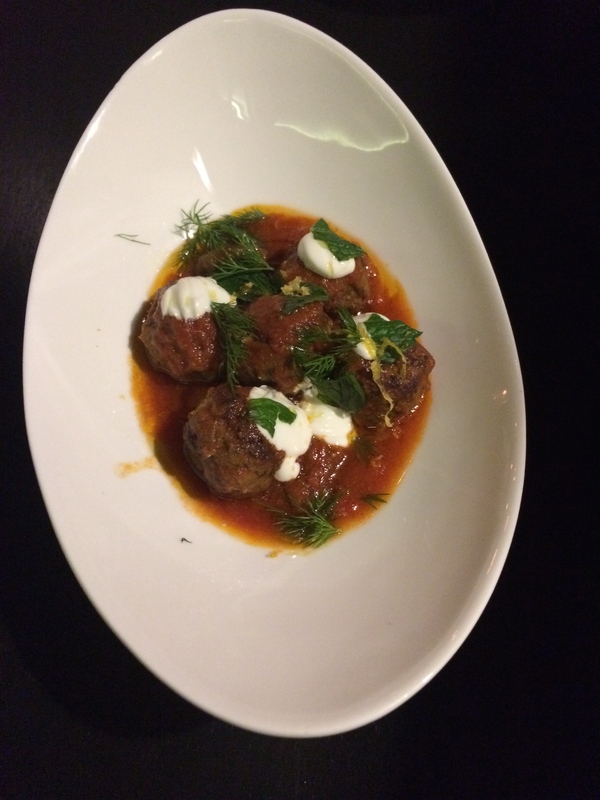 opted for the lamb meatballs, served with a tomato and yogurt sauce, and the grilled quail, which came with a lusciously creamy chestnut puree, pickled cranberries, and raddicchio — a highly underrated leafy veggie. I was eager to try quail, since I don’t frequently come across it during my typical dining adventures. It was tender and lean, comparable to chicken. 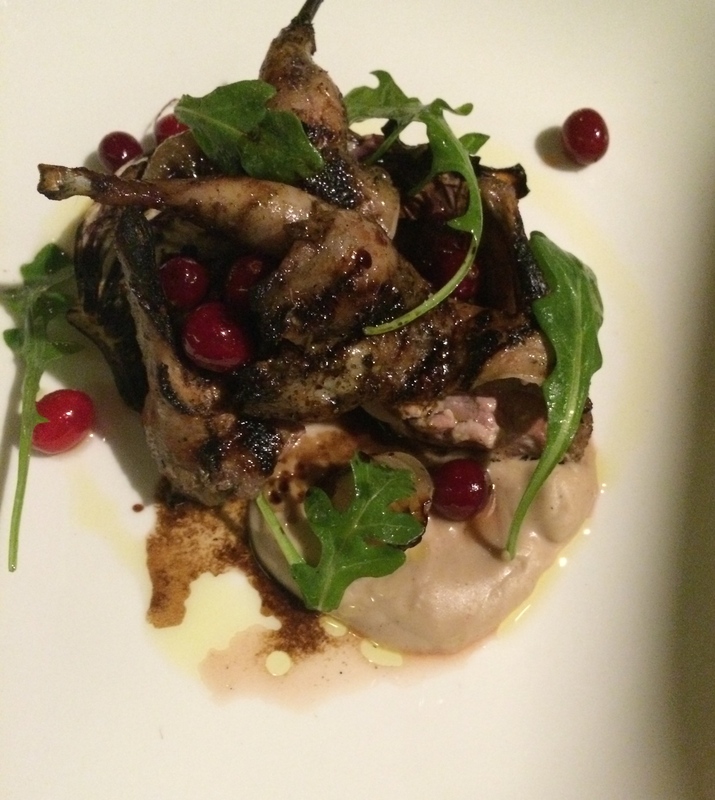 The cashew sauce and cranberries really added to the flavor of the quail. After working our way through these spectacular dishes, dessert wasn’t even a thought, although I can imagine that they are delectable. Selden Standard offers sweet and savory options, such as a caramelized white chocolate pot de creme, and a cheese plate with crackers and preserves. I left content with my lot, but I also had an immediate urge to come back for more. Selden Standard prides itself on being a “seasonal restaurant,” catering their menu items to the freshest and best ingredients in Michigan. They also rely on local businesses, including Guernsey Dairy and Anthology Coffee. A full list of Michigan farms and producers they use can be found here. Prices are on the higher end of the spectrum, but getting a group together will mute your “sigh” upon receiving the bill. And don’t let the small plates concept steer you away — Selden Standard makes up for the size with BIG tastes and unique foods to appeal to both adventurous and simple palettes alike. Location: 3929 Second Ave, Detroit, 48201. Parking can be found in the back lot or on the street. Hours: Lunch (daily) from 11 a.m. – 2:30 p.m., Bar (daily) from 4:30 p.m. – 11 p.m., Dinner (daily) from 5 p.m. – 10 p.m., Brunch (Saturday/Sunday) from 10 a.m. – 2 p.m. Phone: (313) 438-5055 *They take reservations, and I recommend making one, especially on the weekends. Check out their website here — I particularly love their “Stories” section, where they feature everything from seasonal recipes to upcoming events. You can also follow them on Instagram @seldenstandard for drool-worthy pics.